I recently bought an H&B SM-4000 SD, which is a nice handheld Sega Genesis emulator with a built-in SD-Card support. I also bought a 16Gb SD Card to store some ROMs which I’ve put in a /GAME/ subfolder. I found nothing on the Net dealing with this error, except the requierment of the /GAME/ subfolder and the handling of the BIN file format. 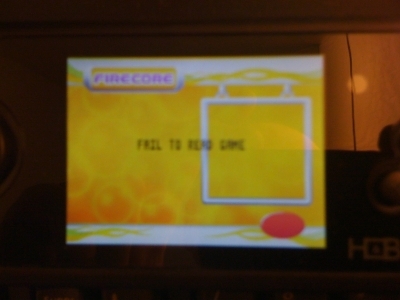 I swapped the SD Card with a 128Mb model, and all the games are successfully displayed. 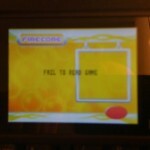 It appears that the Firecore is not able to read on large SD Card. If somebody knows the supported max size of a readable SD Card, please mail me.